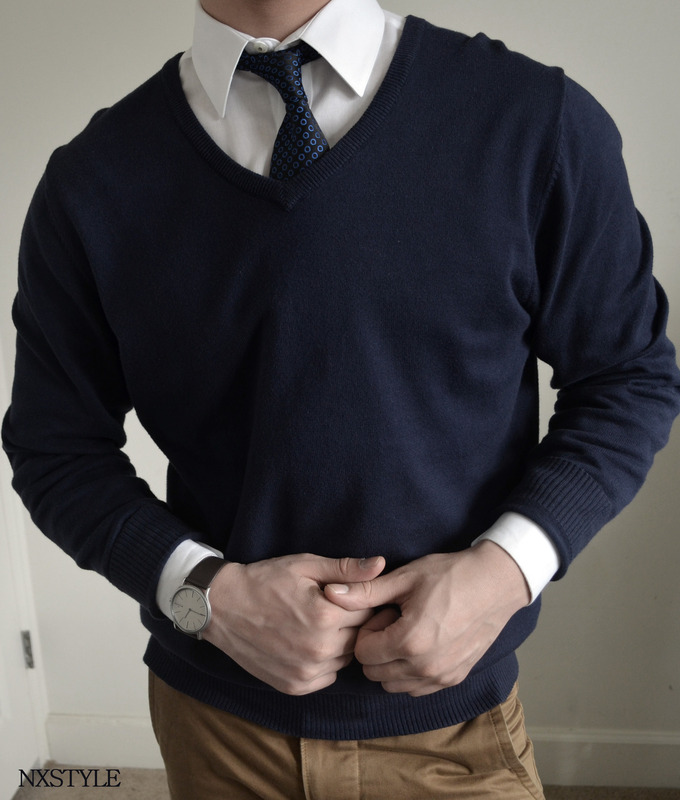 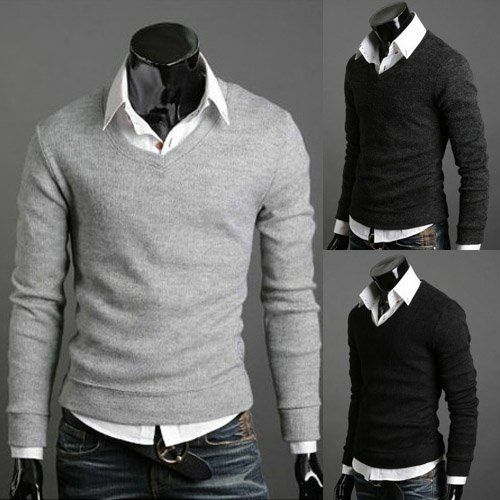 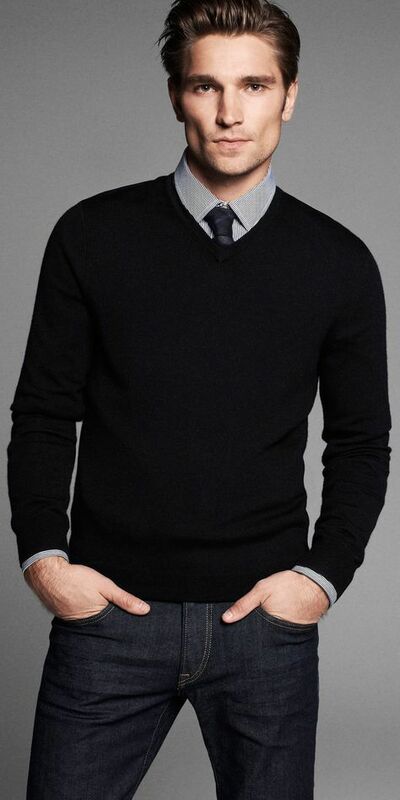 button up sweater, dress shirt and skinny tie. 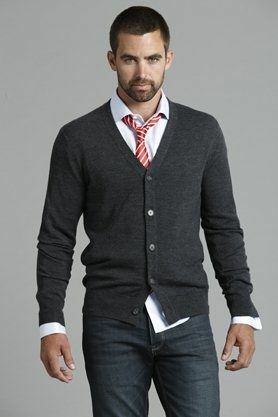 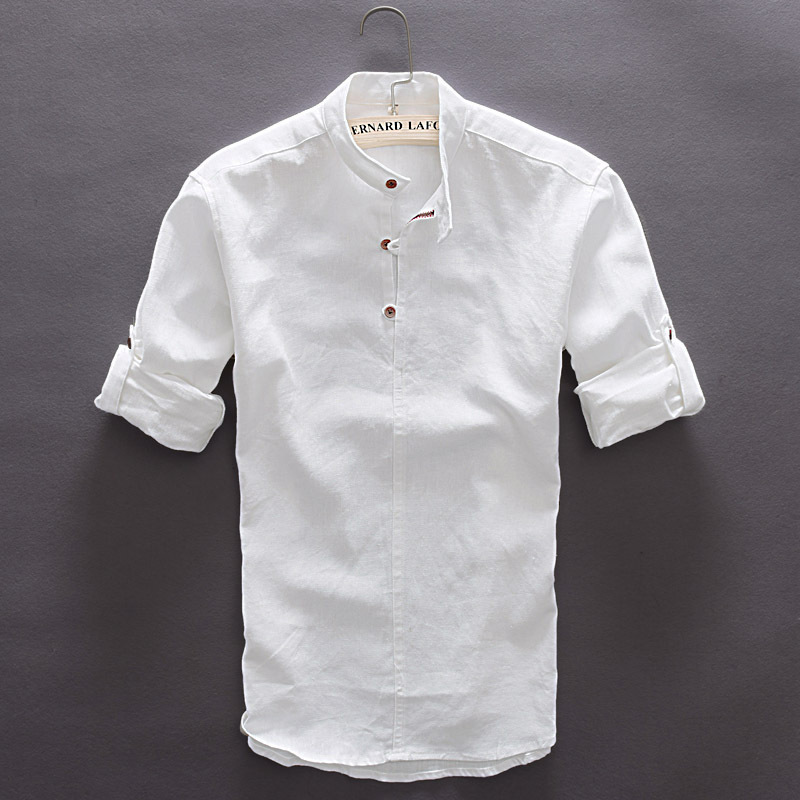 one of my favorite business casual outfits for a man. 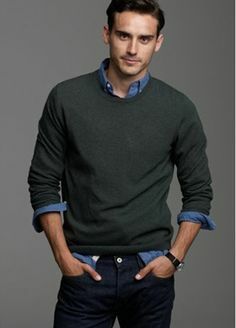 (but please tuck your shirt in if it hangs out! 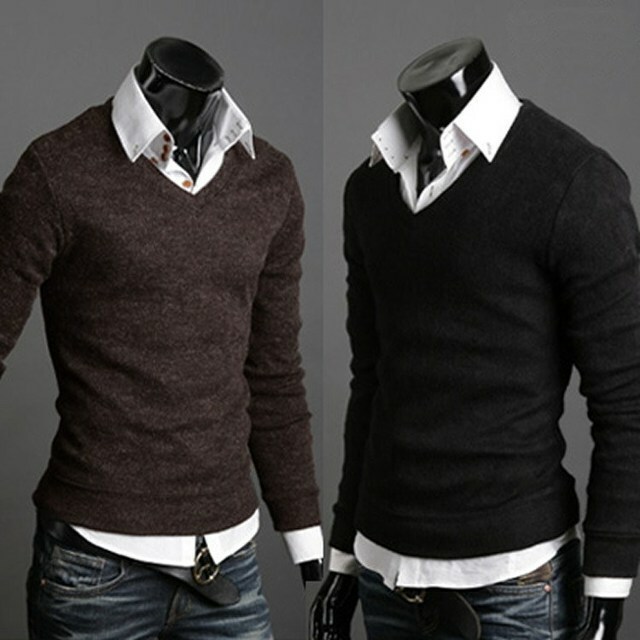 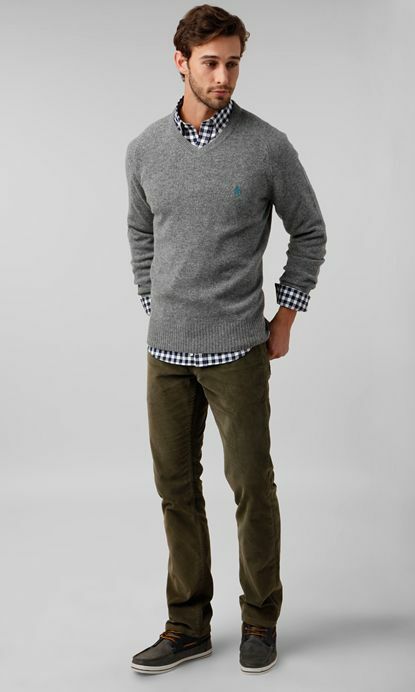 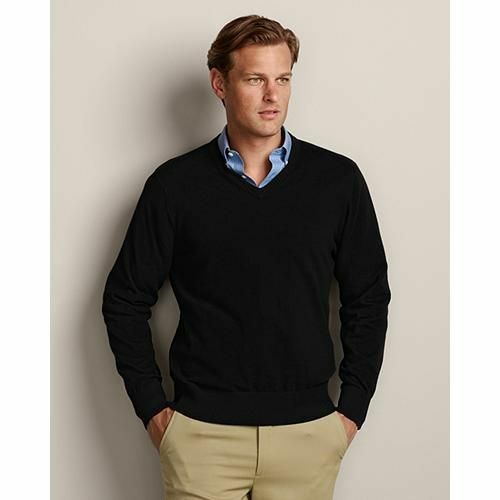 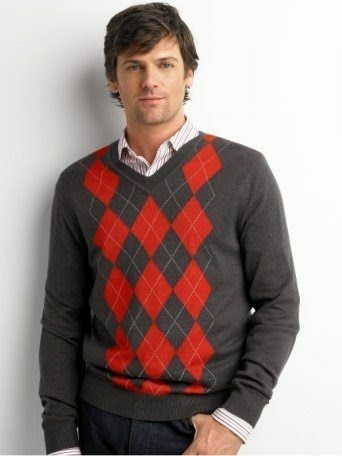 mens black v sweater, mens gingham shirt and jeans. 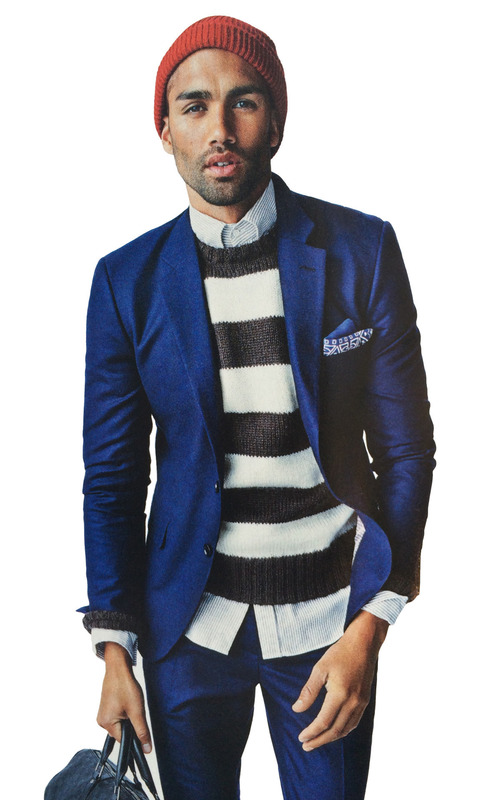 I styled this look for my husband a couple of years ago. 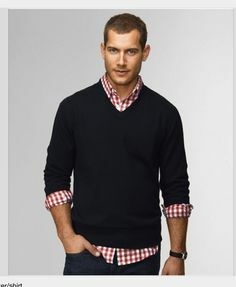 I paired the red gingham with a navy sweater. 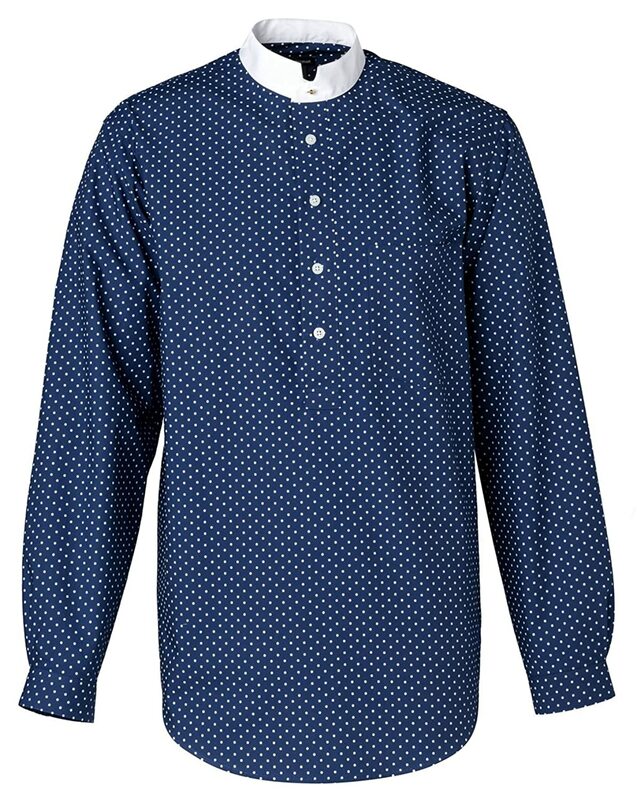 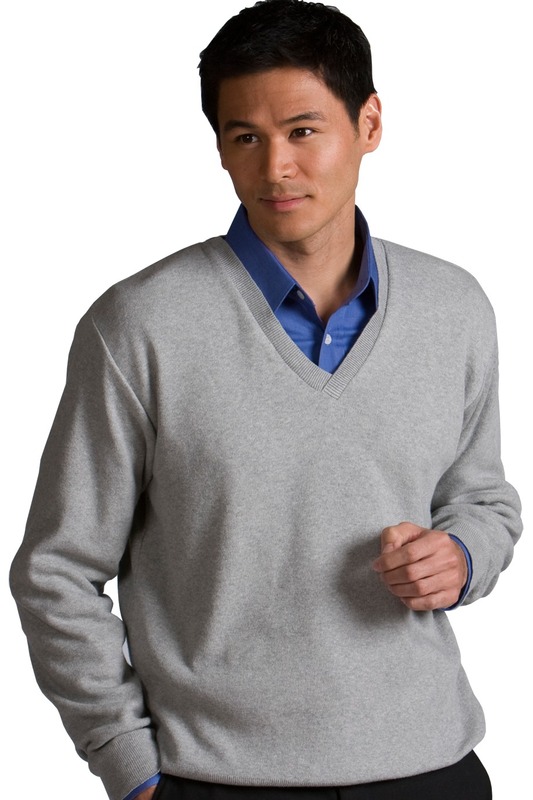 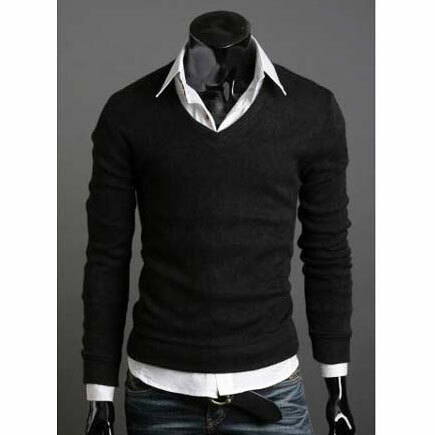 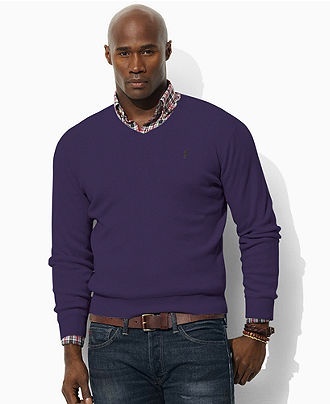 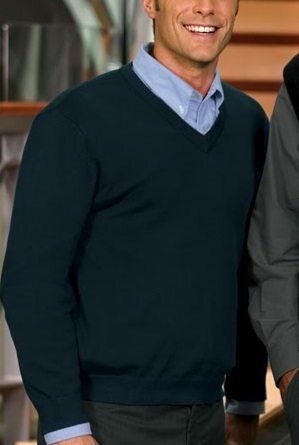 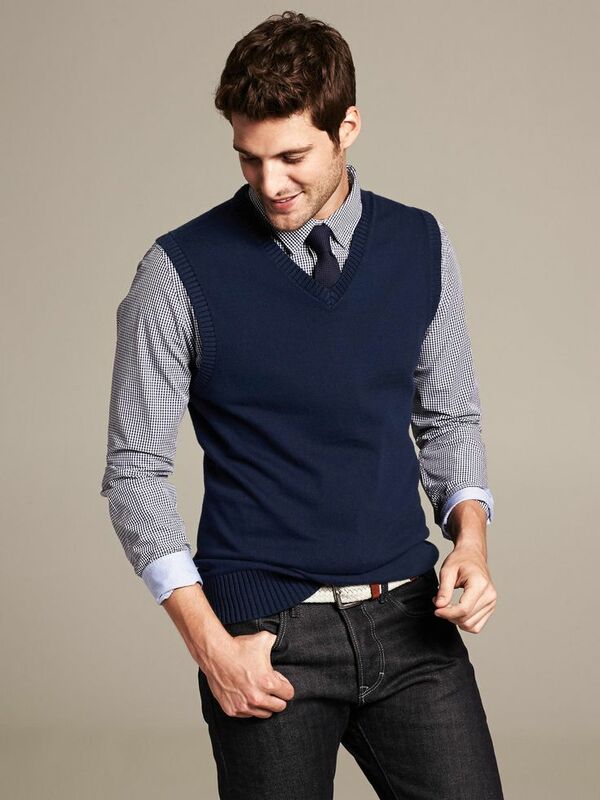 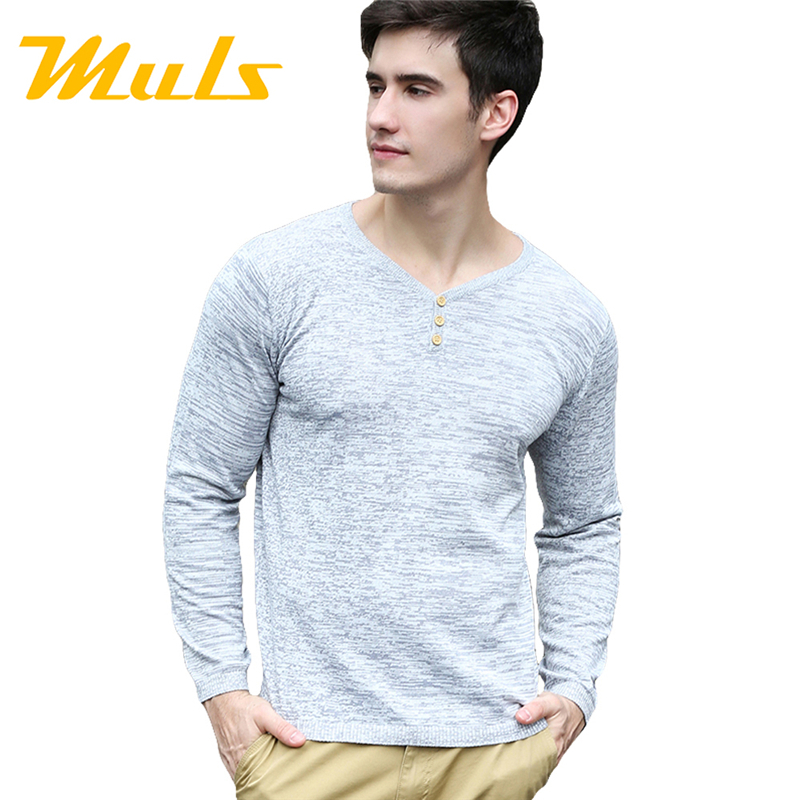 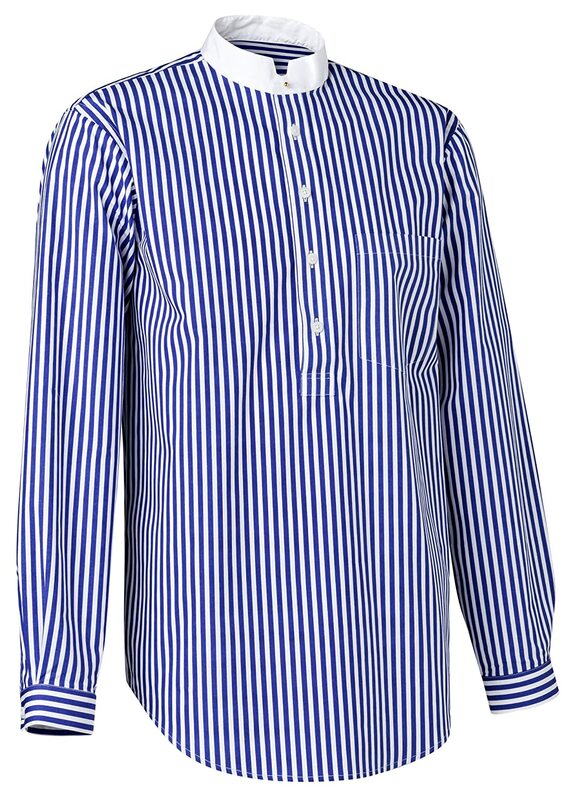 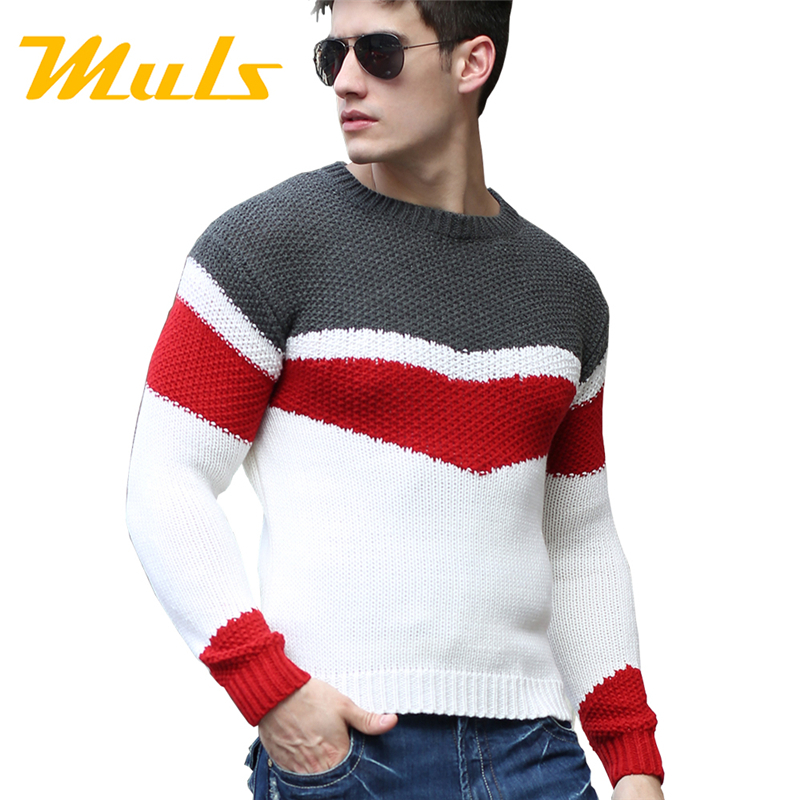 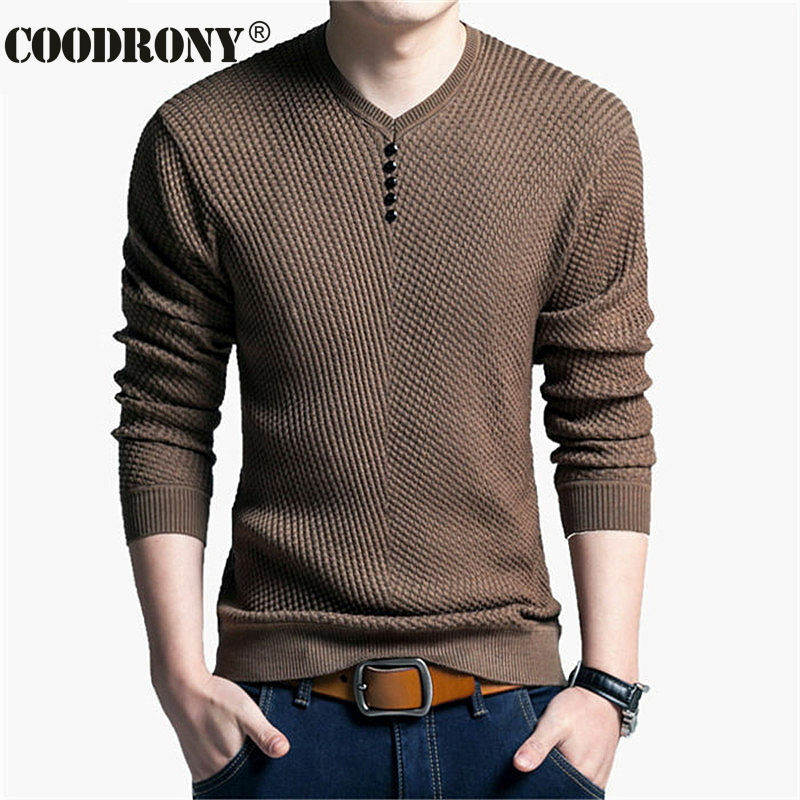 Dress shirt under a solid sweater with a nice denim!